At Pete's Taxi and Car Rentals, the first thing that you will notice is our first-class customer service. Whether you are renting a car for a week or taking a taxi for a day to go shopping in the beautiful capital city of St. John's, you will be greeted with a warm smile and be treated with the utmost courtesy. From car rentals to taxi service, we have your transportation needs covered. Small and large cars to SUVs and minivans we have a nice variety of vehicles to choose from. 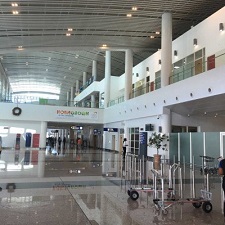 We offer transfer service to and from the airport, as well as to and from your hotel. We will gladly deliver your car to the airport or to your hotel free of charge. Come experience Antigua in one of our clean and comfortable rental cars. We take great pride in the care of our vehicles, and you will absolutely not be disappointed. Imagine yourself driving down Fig Tree Drive taking in the lush landscapes in one of our reliable cars. For those of you who do not wish to drive, let us take care of you. 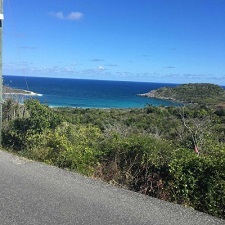 We provide tours of Devil's Bridge, Nelson's Dockyard, Shirley Heights, Betty's Hope, and shopping trips to St. John's. We will even take you for that drive down Fig Tree Drive if you just want to relax and take in all of the sights. Pete's Taxi and Car Rentals has been in business over twenty years. We started our business serving the clients of the Mill Reef Club, and we still continue to do the same today. We also provide our exceptional service to the guests of the Nonsuch Bay Resort. 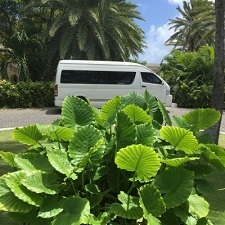 However, our services are available to all tourists that visit Antigua, and we would love the opportunity to take care of any or all of your transportation needs. When booking your rental, please include your Driver’s License details. Free pickup and delivery islandwide. Pete's Taxi Service and Car Rentals, Where Service is Everything!